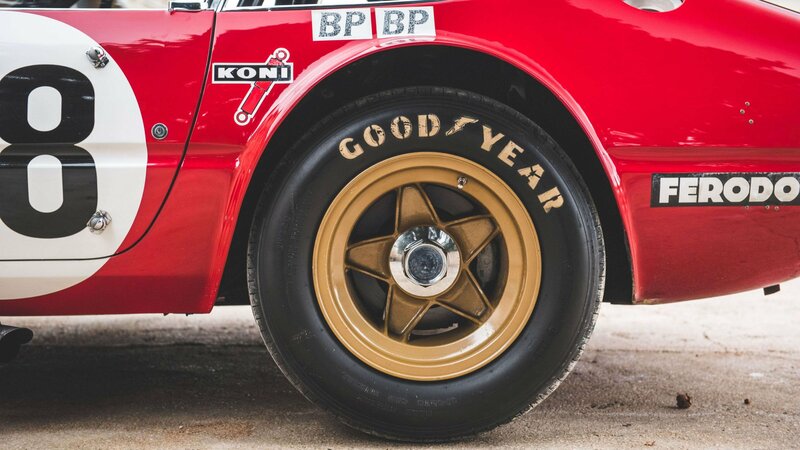 This Ferrari 365 GTB/4 Daytona Competizione Group 4 was a period competitor between 1971 and 1972 at the 24 Hours of Le Mans, the 6 Hours of Daytona, the 12 Hours of Sebring, the Watkins Glen 6 Hours, and the Road America 500 in Atlanta. 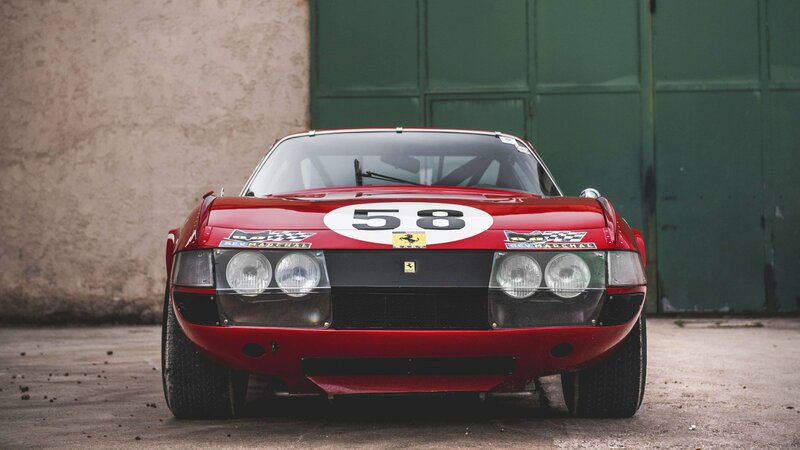 Ferrari 365 GTB/4 Daytona Competizione is the race-specification version of the 365 GTB/4 Daytona. 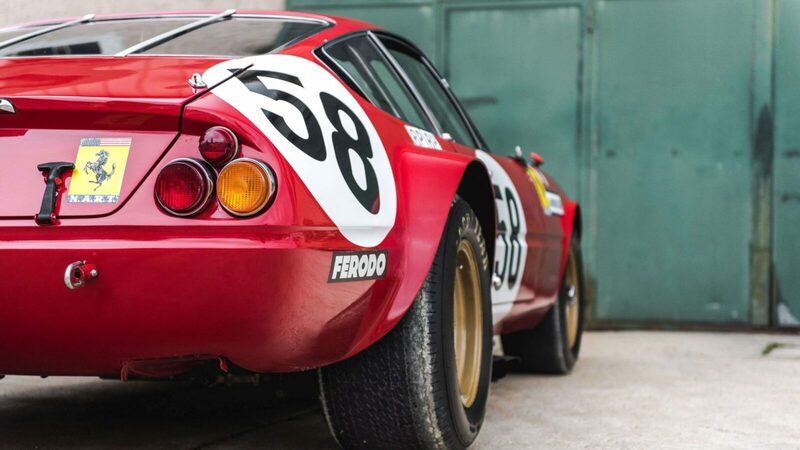 The 365 GTB/4 was famously developed by Ferrari to reassert dominance over the upstarts at Lamborghini, who had released the Miura in 1966 and taken the title of Italy’s fastest GT car. Enzo Ferrari and Ferruccio Lamborghini had a famously tempestuous relationship after a falling out when Ferruccio, an Italian manufacturing magnate, had bought a Ferrari but the clutch kept failing – so he fixed it with a clutch from one of his tractors and took it to Modena to show Enzo. 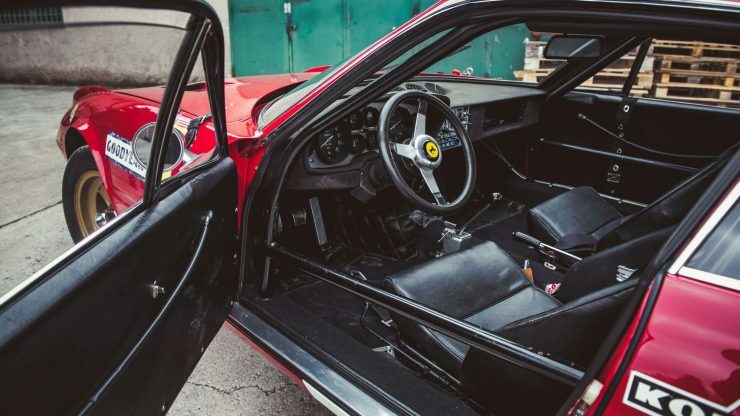 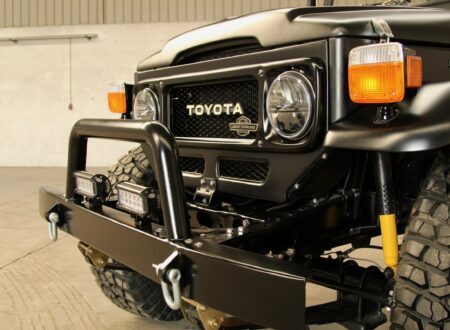 As you may have guessed, the famously proud Enzo didn’t take kindly to having a manufacturer of farm machinery try to tell him how to improve his sports cars – and the two men had a dramatic clash. So stubborn was Ferruccio that he established his own sports car factory and went into the business for himself, and in so doing created a company that would become the great rival for road-going Ferraris. 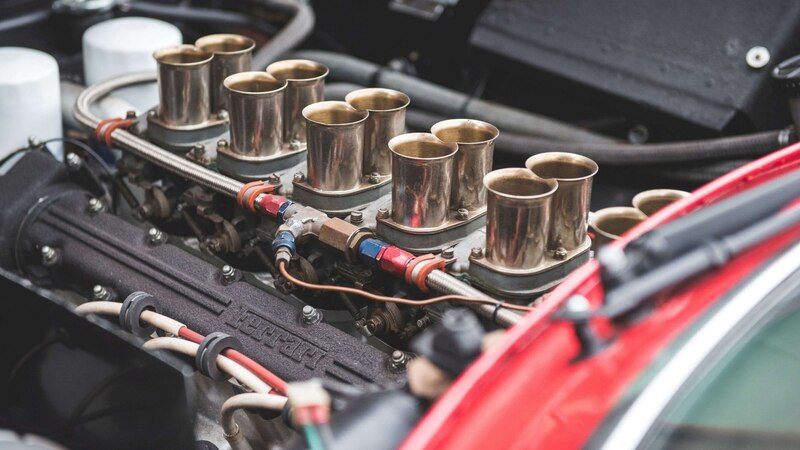 Had Enzo had kept his temper in check, we may have only ever seen Lamborghini badges on tractors. 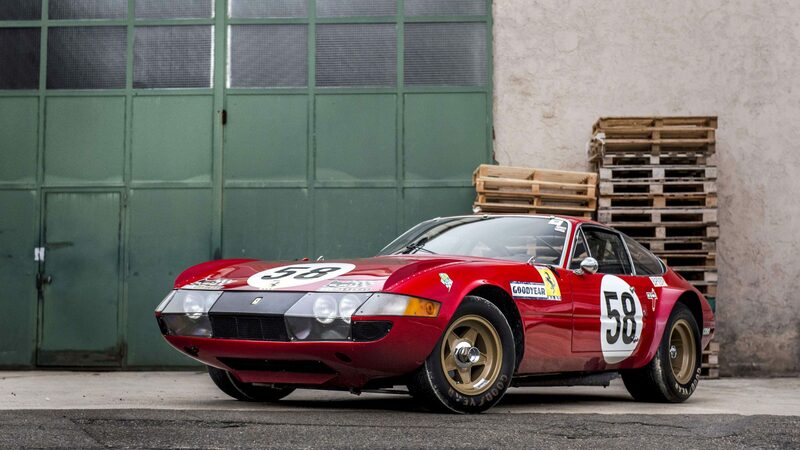 When the revolutionary Miura was released by Lamborghini in 1966 its fair to say it blew Ferrari out of the water. It was an all-new design with breathtakingly beautiful styling, a V12 in a mid-engined layout, advanced aerodynamics, and a top speed of 171 mph. Development of the Ferrari 365 GTB/4 was undertaken specifically to beat the Miura, Enzo didn’t trust non-racing drivers with a mid-engined configuration so the front-engine layout was kept, with a transaxle to optimize weight distribution – as had been used on the outgoing Ferrari 275 GTB. 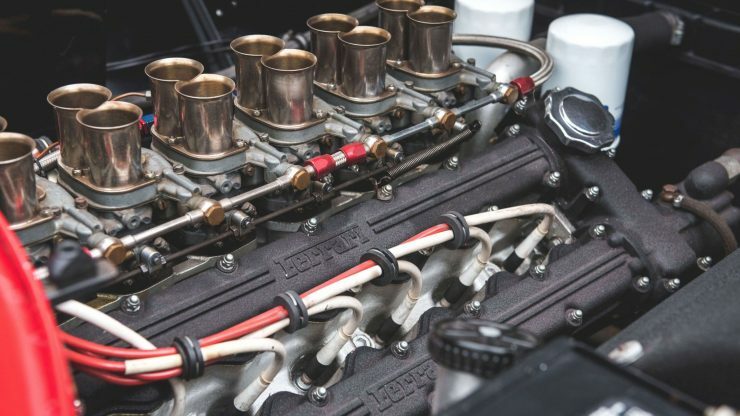 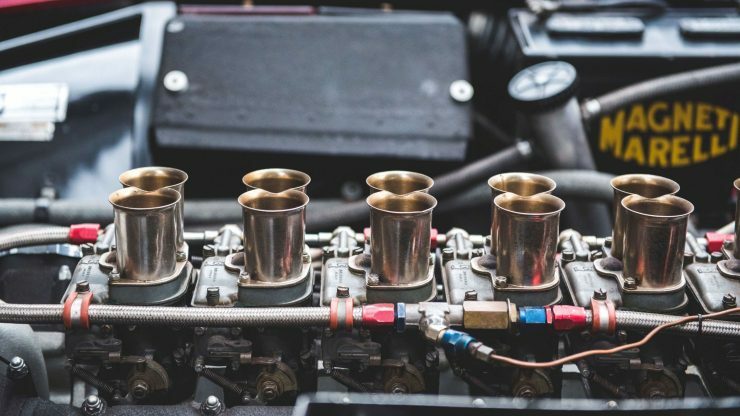 The Colombo V12 was used with a capacity of 4,390cc, this double overhead cam per bank, all-alloy engine was used extensively by Ferrari in various guises since 1947, and it would remain in use until 1988. 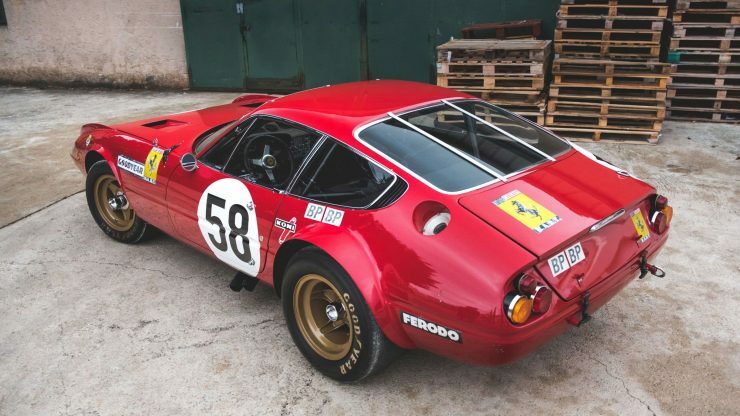 The new car was never officially named the “Daytona”, this was a nickname given to the car by the press after Ferrari’s 1-2-3 finish in the 1967 24 Hours of Daytona with a 330 P3/4, a 330 P4, and a 412 P. Ferrari refused to acknowledge the name for years, and to this day they only ever use it rarely. 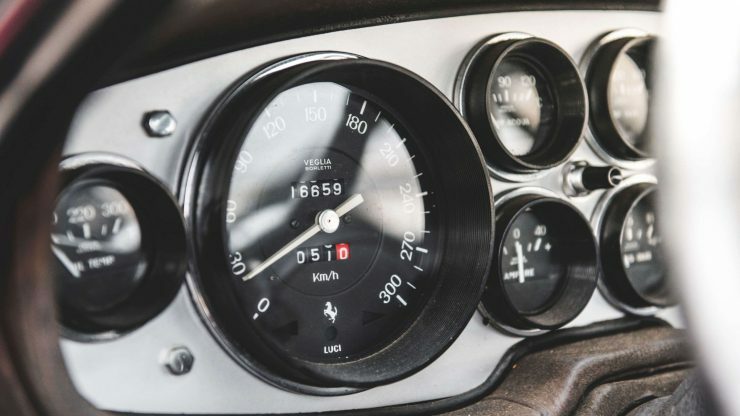 When the 365 GTB/4 debuted in 1968 its top speed was listed as 174 mph, 3 mph more than the Miura, returning the title of Italy’s fastest GT car to Ferrari. The 365 GTB/4 Daytona Competizione was produced in three batches of five cars, the first from 1970-1971, the second in 1972, and the third in 1973. 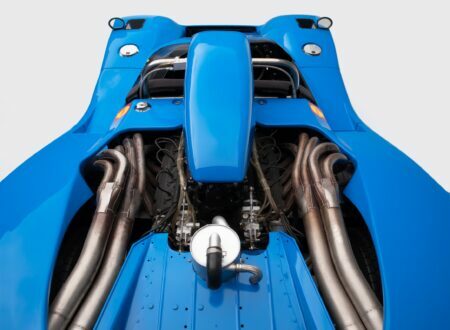 These Competizione cars featured lightweight bodies, plexiglas windows (except for the windscreen), tuned engines (in the last two batches), stripped lightweight interiors, flared wheelarches with wider wheels, aerodynamic “fences” on the front wings, a small chin spoiler, and either full or part aluminum bodies. 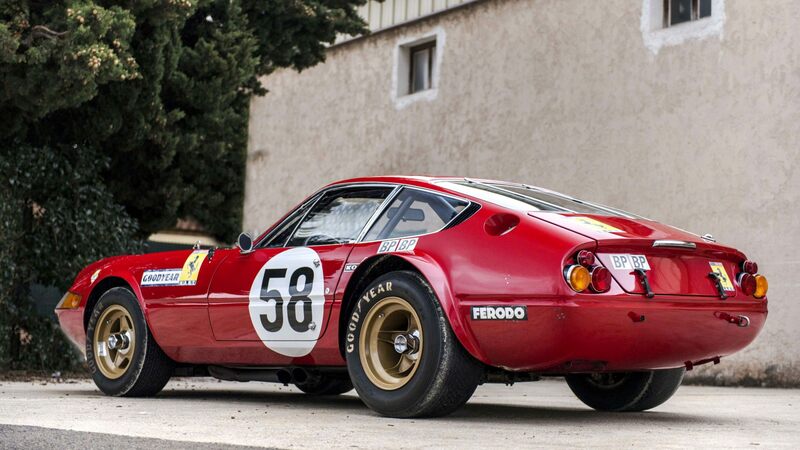 Although Ferrari never raced the Daytona Competizione themselves, they did provide them to privateer teams who achieved some remarkable results including a 5th at the 24 Hours of Le Mans in 1971, with GT class wins in 1972, 1973 and 1974. 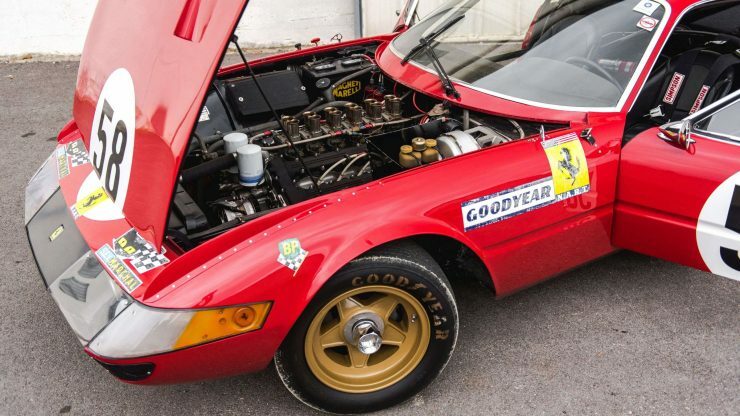 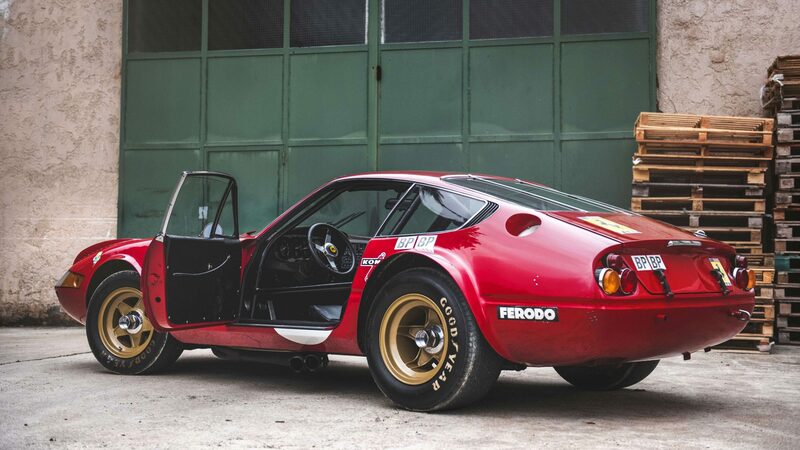 The 1972 year was particularly noteworthy, as the Ferrari 365 GTB/4s took the first 5 places of the GT class. 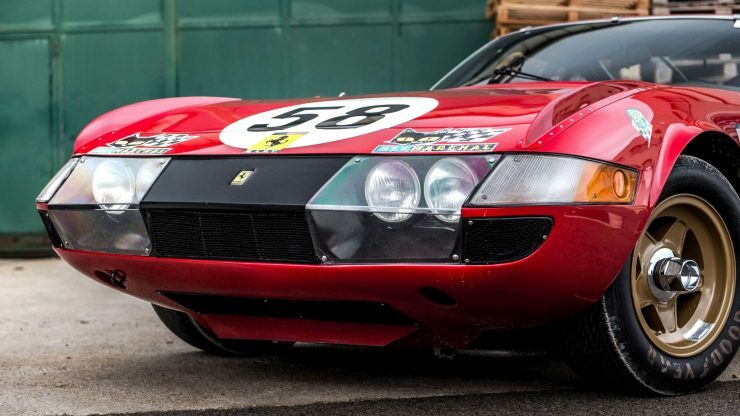 The final major victory for the car would come in 1979, when a Competizione took a class win in the 24 Hours of Daytona – remarkable given that the car was then 6 years old, an eternity in race car years. 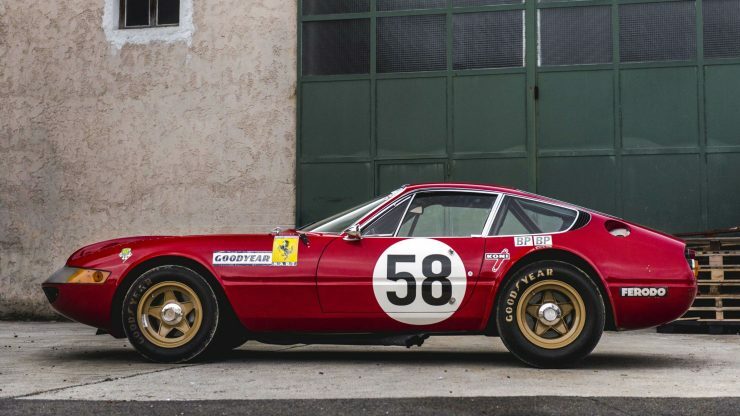 The 365 GTB/4 Competizione you see here is the second 365 GTB/4 Group 4 prototype (chassis #12467), it was bought by Luigi Chinetti at N.A.R.T. 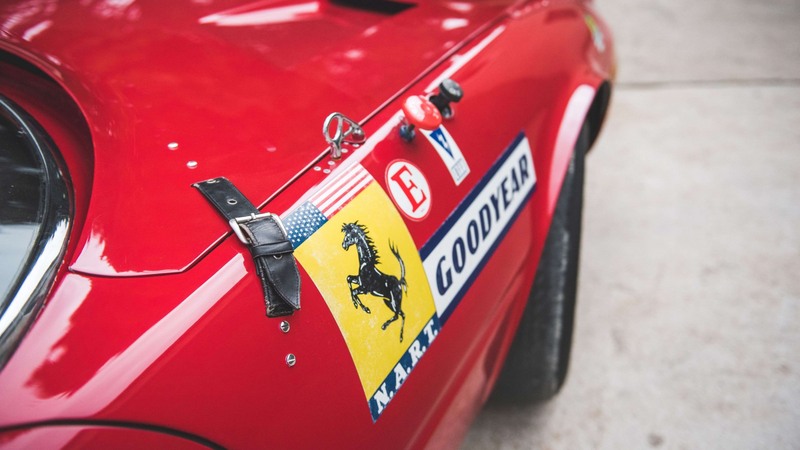 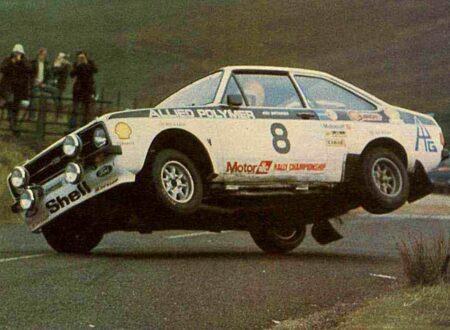 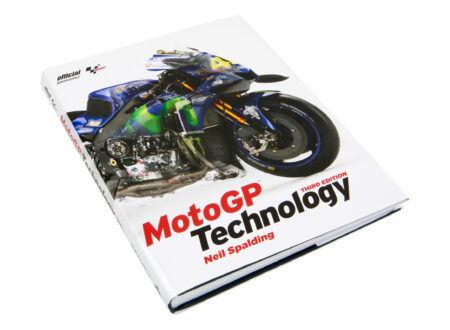 specifically to compete in the 1971 running of Le Mans. The car was built to Groupe 4 specification by the Ferrari factory and Carrozzeria Sports Cars and delivered by Ferrari to the French circuit ready to race. 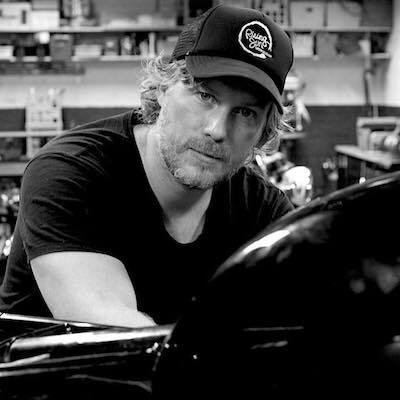 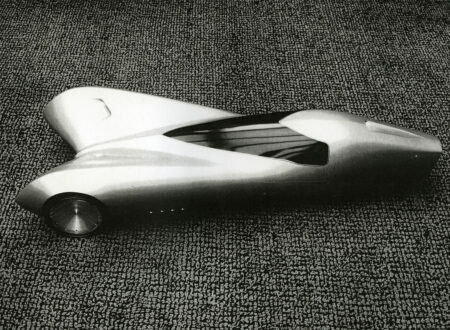 The car was driven by Luigi Chinetti’s son Coco Chinetti, and Bob Grossman. They were back in 25th at the 3 hour mark, and worked their way up the field to 15th at the 12 hour mark, and 5th by the 19th hour – the position it would finish in. After Le Mans, the car raced in the 6 Hours of Daytona, the 12 Hours of Sebring, the Watkins Glen 6 Hours, and the Road America 500 in Atlanta before retiring from competition use and moving into private collections. 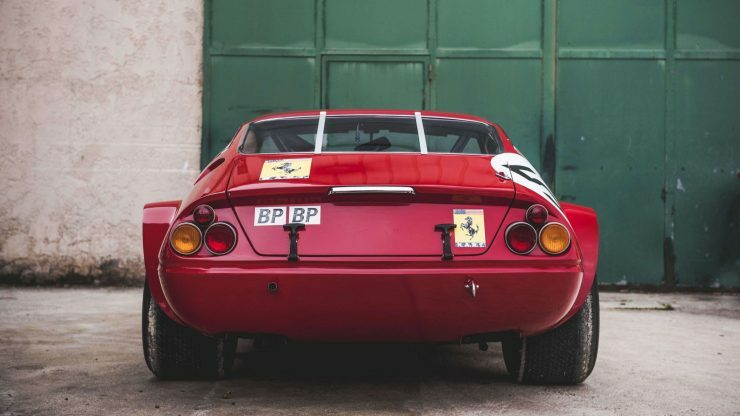 It’s now being offered for auction by Artcurial, its engine isn’t original but the original numbers-matching block does come with the car. The all-important Ferrari Classiche Certification is underway, though the cars history is well-known. 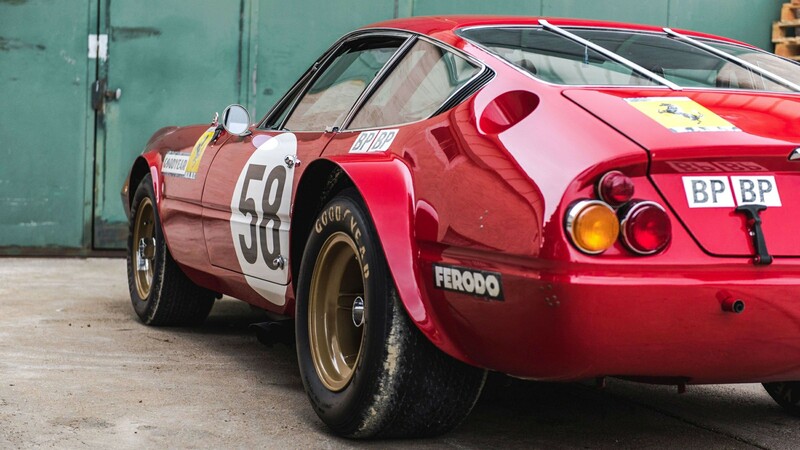 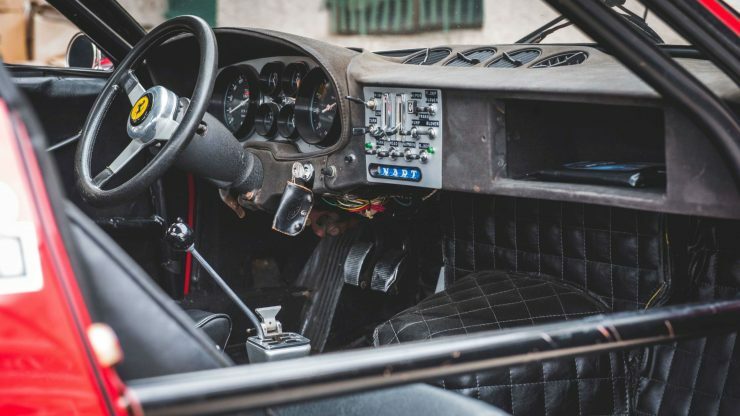 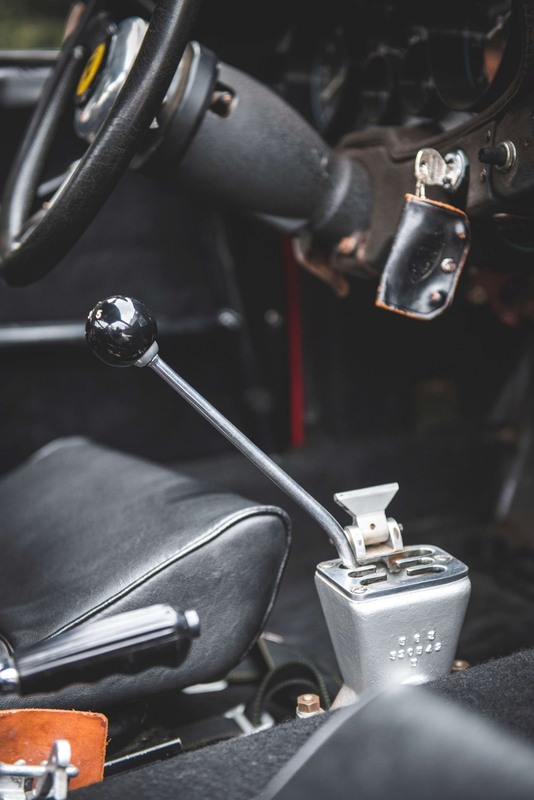 If you’d like to read more about it or register to bid so you have something to enter into the Le Mans Classic, you can click here to visit the listing on Artcurial.